One of the two leading reporters for The Washington Post whose stories about the Watergate scandal contributed to the resignation of President Richard Nixon, he is the co-author with Bob Woodward of “All the President’s Men” and “The Final Days” and has written three successive books, most recently, a bestselling biography of Hillary Clinton. Bernstein’s newspaper career begins at the Washington Star as a copy boy at the age of 16. Later, having dropped out of the University of Maryland, he is unable to formally become a reporter because the paper requires a college degree and he has no desire to finish his coursework. Bernstein follows Washington Star assistant city editor Coit Henley to the Elizabeth (N.J.) Daily Journal. He wins first prizes from the New Jersey Press Association for stories on teenage drinking and the 1965 blackout. Bernstein is hired by The Washington Post to work on its metro staff. Bernstein and colleague Bob Woodward, are assigned to cover the break-in at the Democratic National Committee headquarters at the Watergate Hotel complex. Over the next 26 months, they write hundreds of stories about the Nixon administration’s abuses of power and coverup. 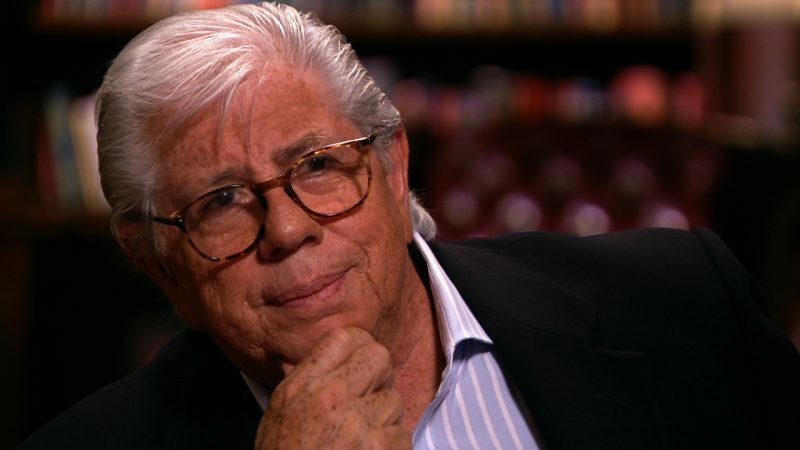 While continuing to report on Watergate, Woodward and Bernstein begin to write a book about the scandal. And The Washington Post wins the 1973 Pulitzer Prize for Public Service Journalism for their reporting. Woodward and Bernstein’s second book, “ The Final Days ,” about the end of the Nixon presidency, is published. Bernstein leaves The Washington Post at the end of the year. Bernstein writes an article for Rolling Stone about CIA recruitment of journalists during the Cold War. ABC News hires Bernstein as the network’s Washington bureau chief. Bernstein lacks experience in broadcasting and management, and the experiment ends 16 months later. Bernstein becomes a senior correspondent for ABC News in New York and specializes in national security matters, reporting for “Nightline” and other programs. In his first story for “20/20,” Bernstein reveals a U.S. secret alliance with China, Pakistan and Egypt, which supplied arms to Afghanistan’s mujahadeen in their fight against the Soviet Union. Covering the Israeli invasion of Lebanon led by then-Defense Minister Ariel Sharon, Bernstein is the first to report that the true intention of the operation is to drive the Palestinians out of Lebanon and not to protect border security, as Sharon leads the Israeli Cabinet to believe. While working on a book about his parents being blacklisted during the McCarthy witch hunts of the 1950s, Bernstein spends considerable time with Woodward in “the Factory” (the third floor of Woodward’s Georgetown home). The two friends work side by side on their respective books and read each other’s copy. Bernstein’s first solo book, “ Loyalties: A Son’s Memoir ,” is published. Bernstein becomes a writer for Time magazine. In a cover story about the run-up to the Gulf War, he reports on the strong antipathy by Iraqis toward their leader, Saddam Hussein. Bernstein is immediately expelled from the country. While still at Time, Bernstein writes a cover story alleging that a clandestine alliance between the pope, President Ronald Reagan and the CIA helped topple Poland’s communist regime in the 1980s. This project lays the groundwork for his next book. In a cover story for The New Republic, “ The Idiot Culture ,” Bernstein criticizes the media, launching him into a role as a prominent media critic. Justin Dangel, the chief executive of Voter.com, hires Bernstein as executive editor to help manage the content of the political news-based website. The site is well received and very popular but goes bankrupt the next year. Bernstein’s biography of Hillary Rodham Clinton, “A Woman in Charge,” which he worked on since 1999, is published. Knopf releases the book in the midst of Clinton’s bid for the Democratic presidential nomination. Bernstein works as an analyst for CNN and writes commentary for various media outlets. Reporting for Newsweek, Bernstein writes about the News International phone-hacking scandal and the powerful influence of Rupert Murdoch . “All the President’s Men” (with Bob Woodward). New York: Simon & Schuster, 1974. “The Final Days” (with Bob Woodward). New York: Simon & Schuster, 1976. “Loyalties: A Son’s Memoir.” New York: Simon & Schuster, 1989. “A Woman in Charge.” New York: Knopf, 2007. Interview with Charles Lewis on Sept. 6, 2007, in New York. Shepard, Alicia. “Woodward and Bernstein: Life in the Shadow of Watergate.” Hoboken, New Jersey: Wiley, 2006.